I read so many articles about having a second child, reassuring me that it was normal to not be as excited the second time around and that yes, I could love my second baby as much as my first. Or they tried to reassure me, anyway. I don’t think I quite believed them, so it’s been something of a wonderful surprise that they were right. 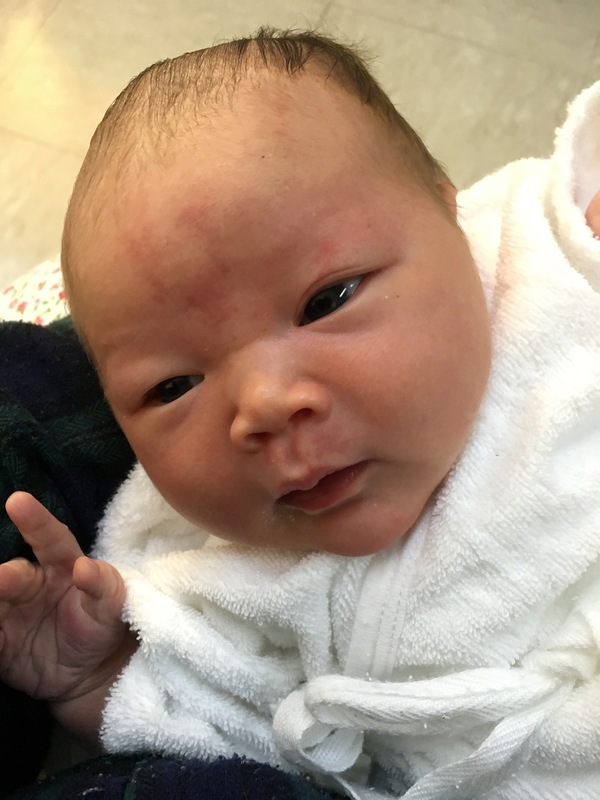 Miss E was born on February 27th, only a day after her due date but induced anyway and probably luckily so, because she already weighed 4.035 kilograms. So far, she has been an incredibly calm baby. Maybe I’m a calmer parent this time too? And yes, I’m in love with her. It sometimes feel like I’m being torn in half between her and Mr K, but it has been so much easier to feel this way than I dared imagine. I have a son, a naughty yet sometimes delightful little toddler, and I have a daughter, a little baby girl. When I stop and actually think about that, it all seems a bit unreal. Thank you! I hope your own little ones are going well! Yes they’re doing really well thanks. Growing up way too fast.